Rat Raisins, Inc. is fabulous. 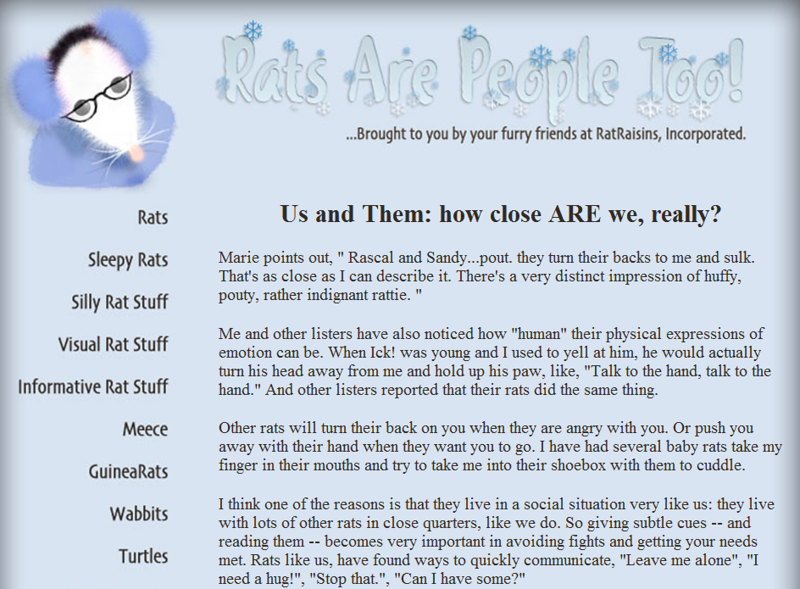 Visit Rat Raisins and explore how "Rats Are People Too!". Rat Raisins has extensive information in many categories of caring for pet rats, plus great fun pages and fantastic photo pages. Below are two of those pages. Click the images to visit directly, and explore everything Rat Raisins has to offer. 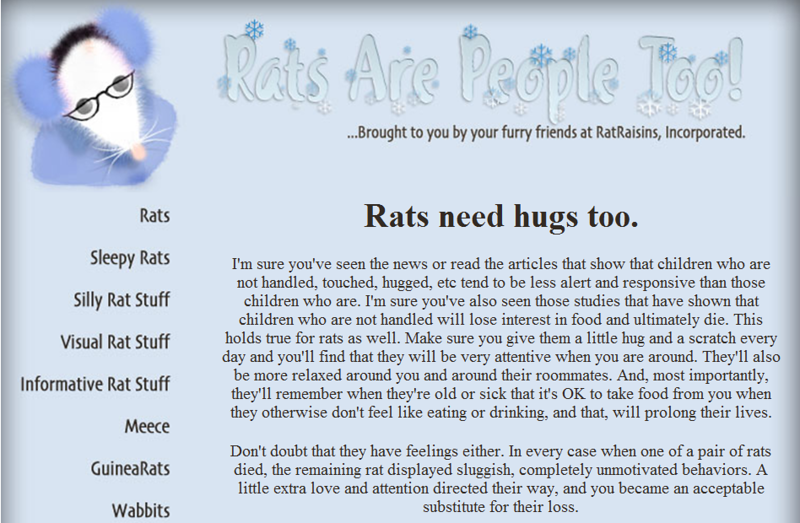 First, the importance of hugging your rat - if and when he or she wants to be hugged, of course. Here is the direct link: http://www.ratballs.com/RatTails/Tails045.html. Here is the direct link to a second Rat Raisins page on the importance of body language signals from pet rats, which you can access directly below: http://www.ratballs.com/JanesNotes/Jane057.html. If you're reading this from the keywords page, click to go to gallery and read great information from the RatRaisins, Ratballs.com website on trust training your rats. Do it now. Go ahead. Now. Your rats will love you.